How Is Your Cataract Treated? The treatment of cataract is mostly done through surgery. But in some cases glasses or contact lenses are also used to solve the problem temporarily. When you begin to experience symptoms of cataract, you should go for an eye examination. An ophthalmologist can confirm, after an eye checkup, if your cataract is mild and your vision can be improved for some period of time using glasses and contact lenses. It is generally advisable not to undergo cataract surgery in such cases. When should you undergo a cataract surgery? One should undergo the cataract surgery after consulting with the doctor and knowing that the surgery is the only solution. Cataract surgery is done mostly in cases where cataract and cloudy vision affects our day to day activities and makes it hard to do even simple work tasks like playing and other daily chores. Cataract is a disease in which the natural lenses of your eyes get cloudy due to clumping of protein on the lenses inside the eye. In a cataract surgery, the natural lenses of the eyes are replaced by artificial lenses through operational implantation. These lenses are called intraocular lenses. What are the procedures of a cataract surgery? 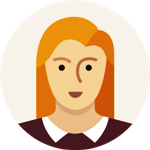 What happens before a cataract surgery? Before one or two week of the surgery, your doctor examines the eye and perform certain tests to measure the shape of your eye and curvature of cornea so as to choose the right intraocular lenses for you. You may be asked not to eat and drink 12 hours before the surgery. Your natural cloudy lenses are removed from the eye and artificial lenses called intraocular lenses are placed into the eyes which then become permanent parts of your eyes and work as natural lenses. 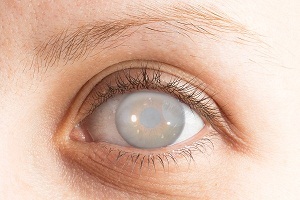 In some people other eye problems prohibit use of intraocular lenses. In such cases, after removing the cataract, glasses or contact lenses are provided to correct the vision. 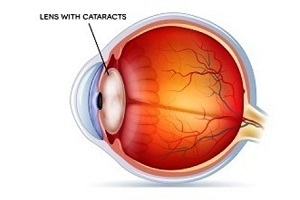 Cataract surgery is an outpatient method. You can go home right after surgery. You don’t need to stay in the hospital. Anesthesia is used for this surgery but only to numb the required portion of your eye. Patient stays awake during the surgical procedure. The success rate of surgery is 95% and mostly people do not face any post-surgical complications. But surgery carries risk of eye infection, and bleeding. Also, the risk of retinal detachment increases. What happens after surgery of cataract? After the surgery, itching, mild discomfort and fluid discharge from eye are normal. 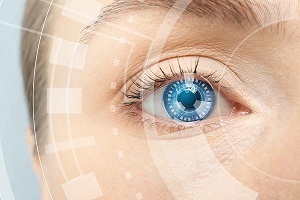 Eye may become sensitive to light and touch. Your doctor will guide about the treatment for these problems. After 1 to 2 days, this mild to moderate discomfort should disappear. Complete healing generally occurs in 8 weeks. 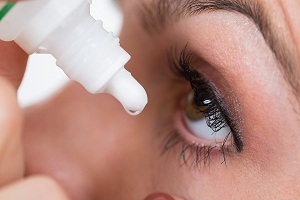 You are asked to use eye drops prescribed by your doctor for a few weeks after the surgery. These eye drops help in healing fast and also avoid infections. Your doctor will also tell how to use these drops, how often to put them, and about their possible side effects. Mostly, post-surgical issues go after one to two week of surgery but if these persist, you should meet your doctor to know the exact cause. 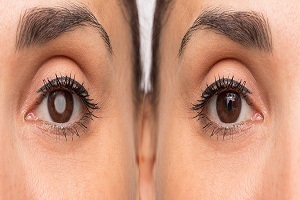 If the cataract surgery is needed in both the eyes, your doctor will generally operate one eye and only after it heals, the other eye will be operated. 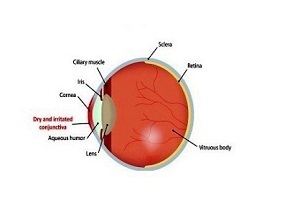 Read about cause of cataract. Don’t do household chores and lift things. Even bending too much to pick up things is not allowed. After 8 weeks from the surgery, when the eyes heal, your doctor will examine them again. He or she will provide you with glasses to correct any vision problem thereafter. What are the post-surgical risks and complications? The above listed complications are very rare. 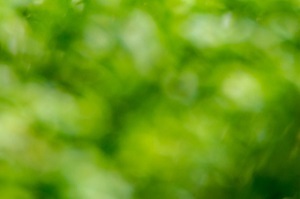 Blurred Vision After Cataract. . . .
Keratoconus: Causes, Signs, Symptoms, Diagnosis, Prevention, Treatment, Surgery Keratoconus – Definition and Overview The term “Keratoconus” is a combination of two greek words. “Kerato” is the word for cornea and “konos”. . . . Treatment for Dry Eyes Dry eyes can make you feel uncomfortable. If you have dry eyes, your eyes may experience a burning or stinging sensation. You may experience dry eyes more in certain situations,. . . .
Cataract: Causes and Risk Factors What causes cataract and how it forms? The lens is one of the clear and clean parts of our eye and it works like a camera lens focusing all the lights coming from an. . . .
What is the Treatment for Glaucoma? 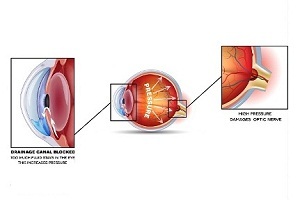 Glaucoma is a group of eye disorder caused due to damage to the optic nerve fiber. This damage is caused due to increased eye pressure and also due to poor regulation. . . .
What are the Causes of Glaucoma? The exact cause of glaucoma is not known till now but an increased fluid pressure which damages the optic nerve of the eye is considered as the major cause of glaucoma.. . . .
What is Myopia or Nearsightedness? 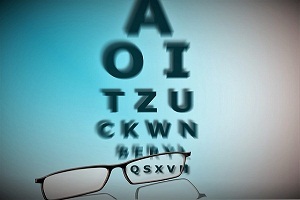 Myopia or nearsightedness is a progressive eye disorder. It is a common type of refractive error of the eye. 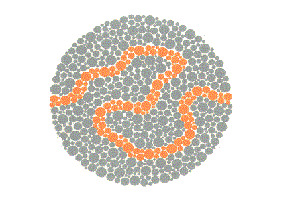 It is a condition in which people face difficulty in seeing. . . .